This isn’t about predicting a breakout season for a running back. Instead, this is about what happens to players after they put up top numbers for the first time in their careers. A player has a breakout season when he finishes in the fantasy football top 20 at his position for the first time in his career. I’ve gathered the 31 players over the last 5 seasons (2007 – 2011) that have fit this breakout season mold. 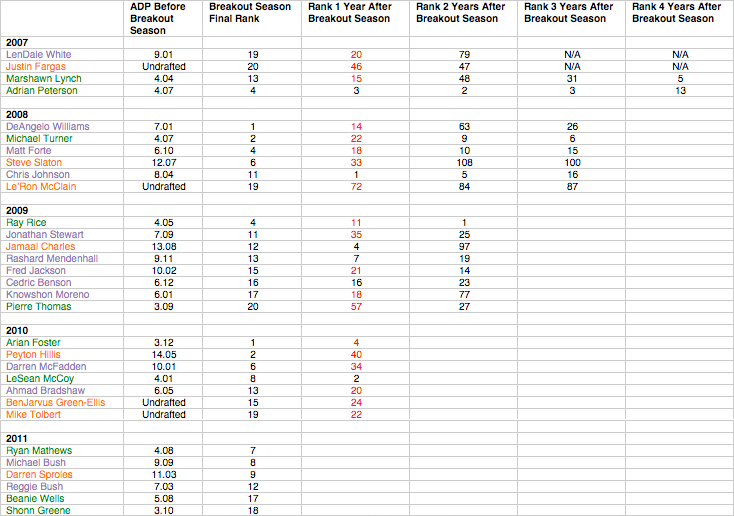 Using standard scoring, I’ve found where these players were drafted the season they broke out, what rank they finished during their breakout season, and their positional ranks for each season thereafter. DeAngelo Williams ranked 28th the year before his breakout season. Pierre Thomas ranked 21st the year before his breakout season. Ahmad Bradshaw ranked 28th the year before his breakout season. Jonathan Stewart ranked 23rd the year befre his breakout season. Reggie Bush ranked 17th his rookie season (2006), but hadn’t ranked in the top 20 until this past season. Therefore, I’ve added him to this data set. 31 total running backs have had breakout seasons since 2007. 19 of 25 possible running backs (2007 – 2010) ranked worse the following season. 7 of the 18 possible running backs (2007 – 2009) ranked progressively worse 1 and 2 years after breaking out. It looks as though players tend to dip the year after they break out. However, two years after a breakout season, running backs appear to come back and become relevant again. 100% of tier 3 running backs that ranked worse the following year remained irrelevant 2, 3 and 4 years out. BenJarvus Green-Ellis, Mike Tolbert and Darren Sproles will more than likely rank worse than they did in 2011. If you get a running back at the tail end of the draft and he ends up having a breakout season, he will more than likely finish with a ranking of 12 among running backs. 43% of tier 2 running backs that were worse the following season become relevant again 2 years later. Darren McFadden and Ahmad Bradshaw have a 43% chance of ranking better than they did in 2011. Michael Bush and Reggie Bush have an 18% chance of ranking better than they did in 2011. If you get a running back in round 6 through 10 and he ends up having a breakout season, he will more than likely finish with a ranking of 11 among running backs. 75% of tier 1 running backs become more relevant 2 years later after being worse the year after breaking out. 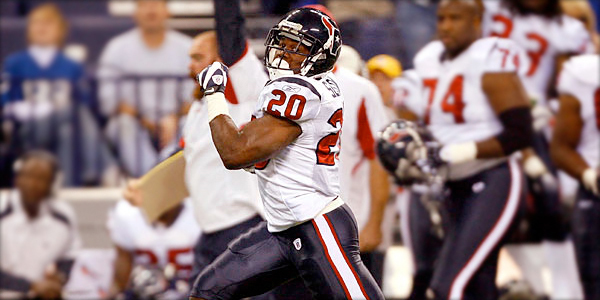 Arian Foster will most likely be better in 2012 than he was in 2011. Shonn Greene and Beanie Wells have a 29% chance of ranking better than they did in 2011. If you get a running back in round 1 through 5 and he ends up having a breakout season, he will more than likely finish with a ranking of 9 among running backs. These trends make sense. 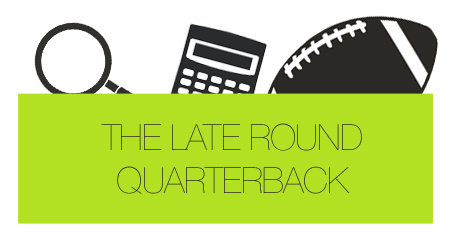 When you draft a player in a double digit round, you’re drafting a guy who is not supposed to be a starter. You’re getting somebody who isn’t supposed to be “good”. And if that player truly isn’t “good”, then it’s going to be more difficult for that player to continue to put up fantasy starter-like numbers. And it’s also why the breakout players drafted in rounds 1 through 5 have the highest success rate the following season. When you get those players, you’re clearly drafting someone that is a known talent or in a favorable situation. Hence, they will post more sustainable, long-term numbers. My number one takeaway with this analysis is the fact that we should be wary when drafting a player with one good season under their belt. While there are some who have consistently done well since their breakout season (Adrian Peterson, Chris Johnson, LeSean McCoy), there are clearly more players that have come back to Earth after their big scoring year.